At first glance, your Sun sign and your Ascendant seem to present few similarities, and yet, they are both Cardinal signs. As a result, you are willing to keep all situations under your control, and you take it to heart to be the initiator or to show your creativity. Indeed, contrary to appearances, you are concerned about your interests and your security, whether this trait is a quality or a flaw. You try to avoid being cheated or rejected, and you act accordingly towards your loved ones. Owing to your Cancer Ascendant, you come across as gruff, secretive, and suspicious, which is found endearing or intriguing. You are a bit poetic and whimsical, and you try to protect yourself against the outer world. This situation does not totally satisfy you because your Libra Sun needs smooth exchanges and, when you are in familiar settings, it prompts you to spontaneously leap into your relationships. However, your instinctive carefulness may offset the mind-body split which is a Libra trait. Although you are a dreamer and an idealist, when you are upset, you become quite vindictive, and then, you can use either your claws or the sword of justice. 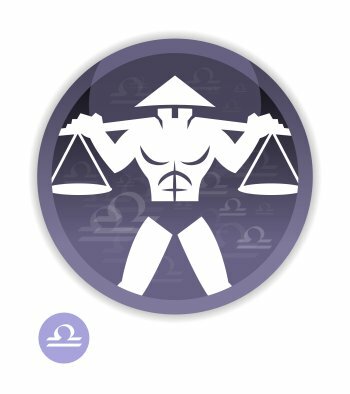 You can find dozens of celebrity horoscopes with the Sun in Libra and the Ascendant in Cancer combination on Astrotheme.